The shares of J C Penney Company Inc (NYSE:JCP) jumped in excess of 20 percent after the company announced positive same-store sales and more closures in the line of improvement. One of the recent announcements from the company indicated closure of up to 40 more stores in the country. According to market experts, this is a positive step for the company and the analysts have urged major retailers to lower down their store count amid increasing online shopping trends. Earlier, Mike Ullman, CEO of J C Penney Company Inc (NYSE:JCP), said that the company has been trying hard for the past one year to resume profitable sales figure and this holiday season ended on a positive note for the company. The retailer is expecting its comparable store sales growth to touch its upper guidance estimate of 4 percent. Another exciting figure for the nine-week period between November and December was the 3.7 percent growth in comparable store sales post the decision of the company to cut down on the number of stores. 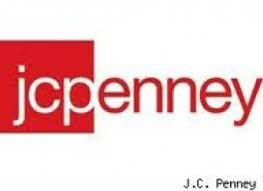 The shares of J C Penney Company Inc (NYSE:JCP) closed at $7.95 at the end of the regular trading session.